Strategic Communication in ESL Classrooms Angela Meyer Sterzik Fanshawe College/York University PhD Candidate, M.A. 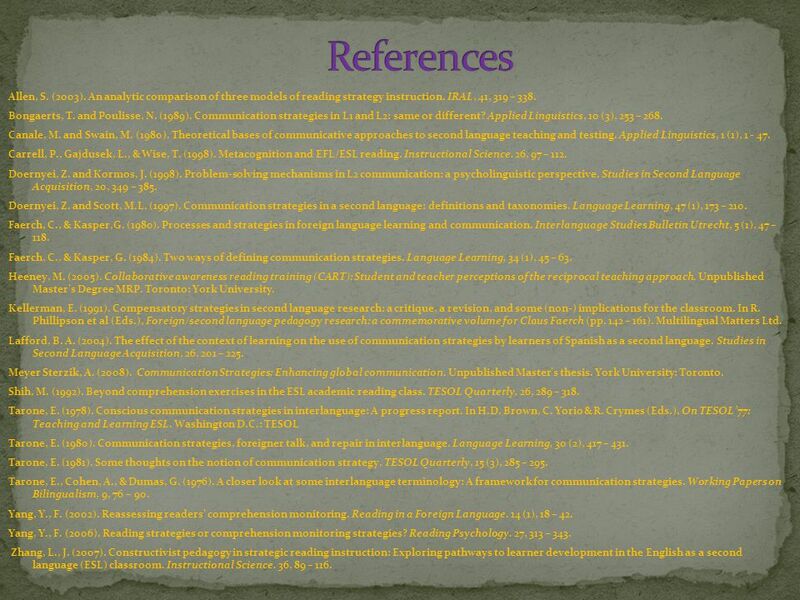 (Applied Linguistics), TESL Angela. 1 Strategic Communication in ESL Classrooms Angela Meyer Sterzik Fanshawe College/York University PhD Candidate, M.A. (Applied Linguistics), TESL Angela Meyer Sterzik 2010. 2 Copyright Angela Meyer Sterzik 2010. This work is the intellectual property of the author. 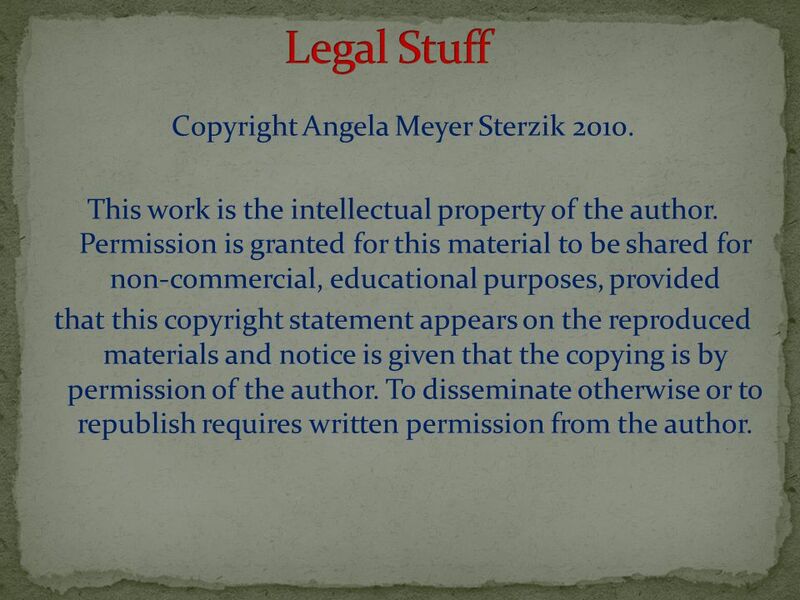 Permission is granted for this material to be shared for non-commercial, educational purposes, provided that this copyright statement appears on the reproduced materials and notice is given that the copying is by permission of the author. To disseminate otherwise or to republish requires written permission from the author. 4 At your tables …Please discuss: 1. Do you ‘forget’ words in your L1? 2. What do you do if the word is needed to get your message across? 3. 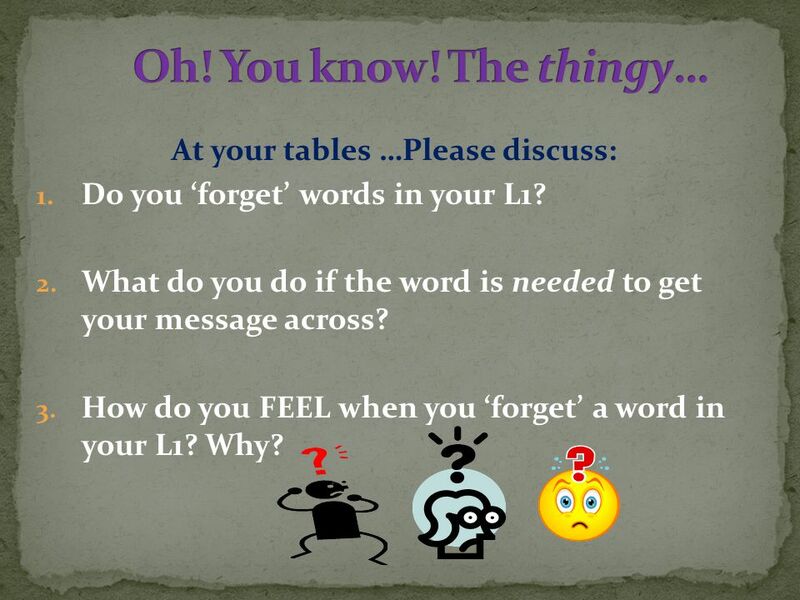 How do you FEEL when you ‘forget’ a word in your L1? Why? 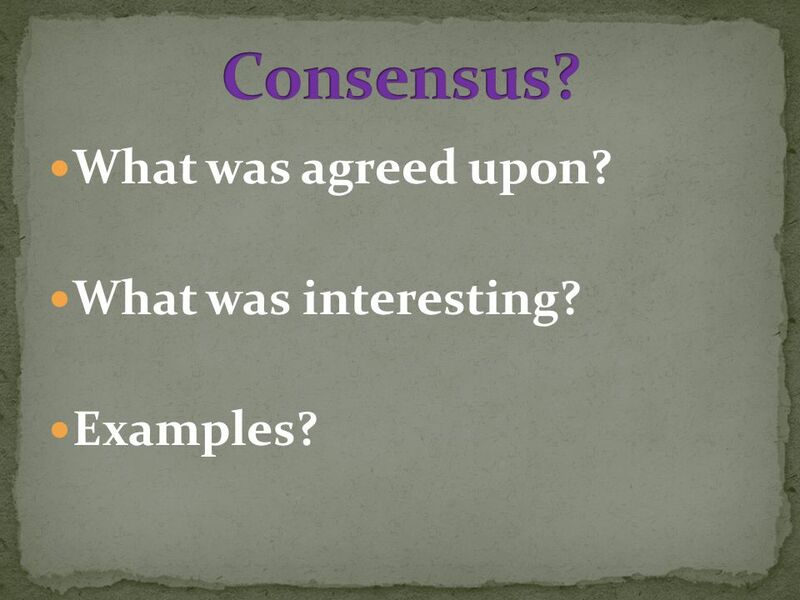 5 What was agreed upon? What was interesting? Examples? 6 What is Communicative Competence? Being able to participate in a wide variety of communicative situations in a wide variety of topics (Canale & Swain, 1980). 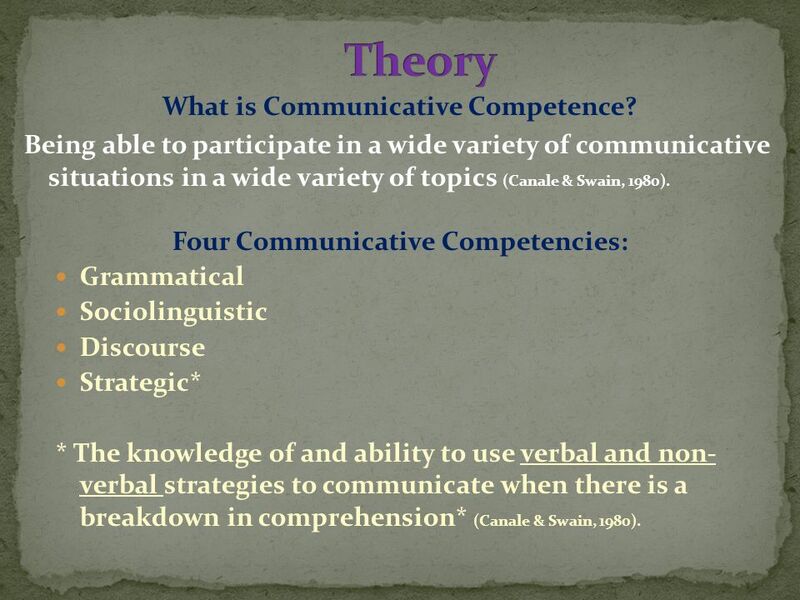 Four Communicative Competencies: Grammatical Sociolinguistic Discourse Strategic* * The knowledge of and ability to use verbal and non- verbal strategies to communicate when there is a breakdown in comprehension* (Canale & Swain, 1980). 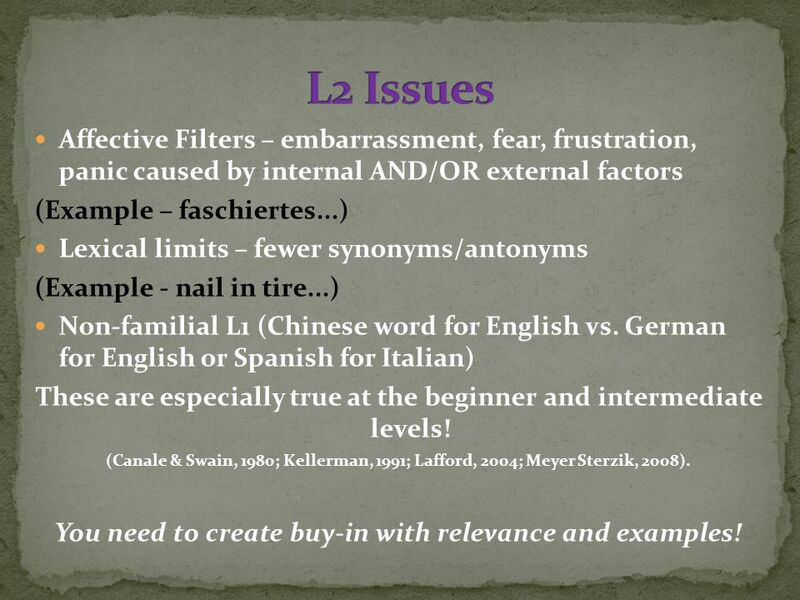 13 Affective Filters – embarrassment, fear, frustration, panic caused by internal AND/OR external factors (Example – faschiertes...) Lexical limits – fewer synonyms/antonyms (Example - nail in tire...) Non-familial L1 (Chinese word for English vs. German for English or Spanish for Italian) These are especially true at the beginner and intermediate levels! (Canale & Swain, 1980; Kellerman, 1991; Lafford, 2004; Meyer Sterzik, 2008). You need to create buy-in with relevance and examples! 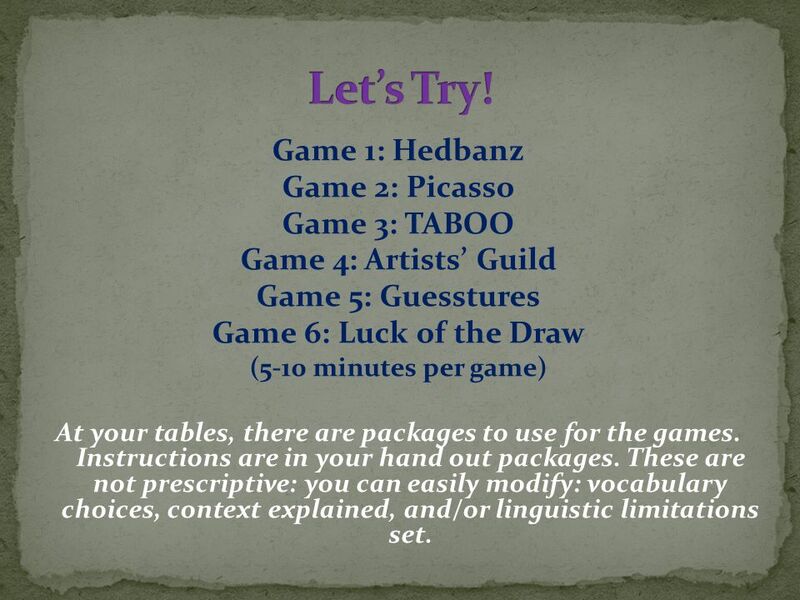 16 Game 1: Hedbanz Game 2: Picasso Game 3: TABOO Game 4: Artists’ Guild Game 5: Guesstures Game 6: Luck of the Draw (5-10 minutes per game) At your tables, there are packages to use for the games. Instructions are in your hand out packages. 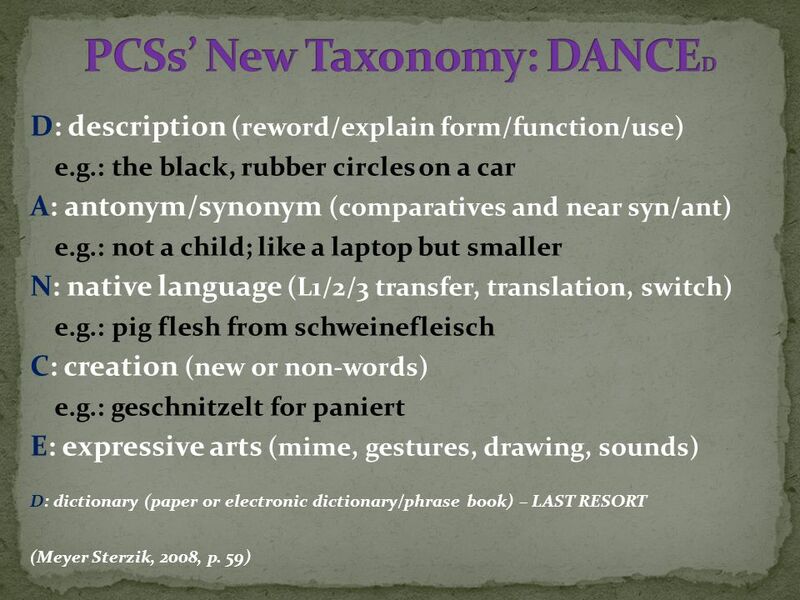 These are not prescriptive: you can easily modify: vocabulary choices, context explained, and/or linguistic limitations set. 17 Allen, S. (2003). 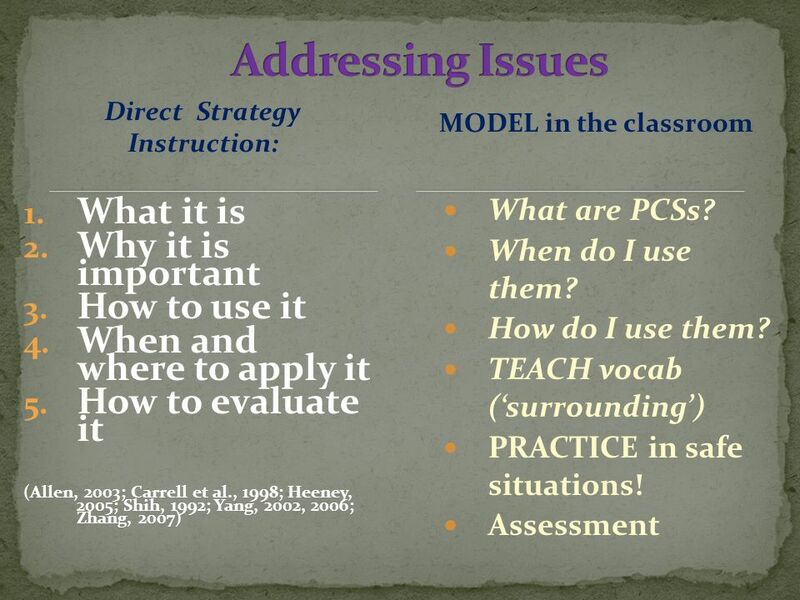 An analytic comparison of three models of reading strategy instruction. IRAL, 41, 319 – 338. Bongaerts, T. and Poulisse, N. (1989). 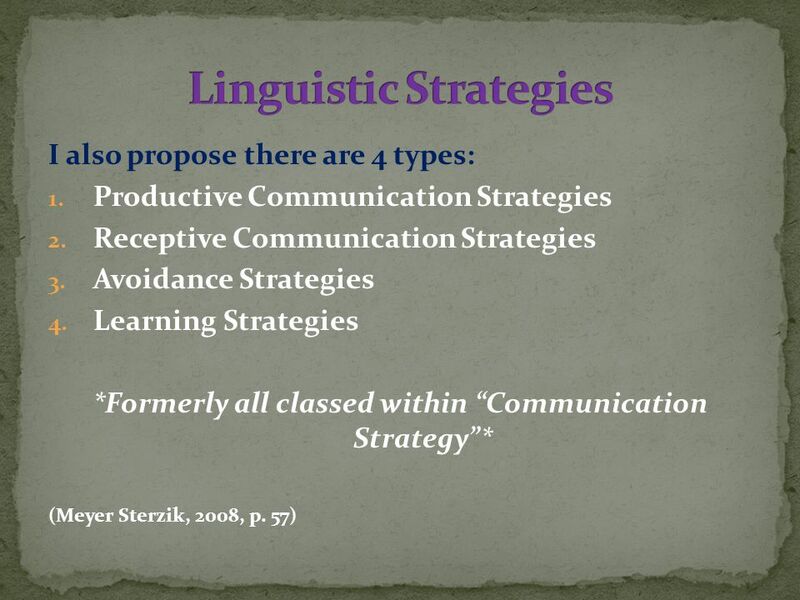 Communication strategies in L1 and L2: same or different? Applied Linguistics, 10 (3), 253 – 268. Canale, M. and Swain, M. (1980). 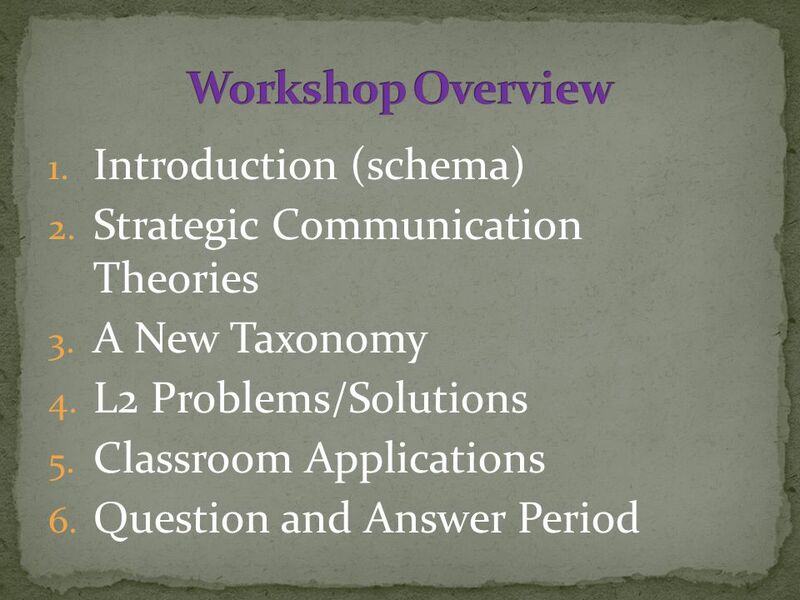 Theoretical bases of communicative approaches to second language teaching and testing. Applied Linguistics, 1 (1), 1 - 47. Carrell, P., Gajdusek, L., & Wise, T. (1998). Metacognition and EFL/ESL reading. Instructional Science. 26, 97 – 112. Doernyei, Z. and Kormos, J. (1998). 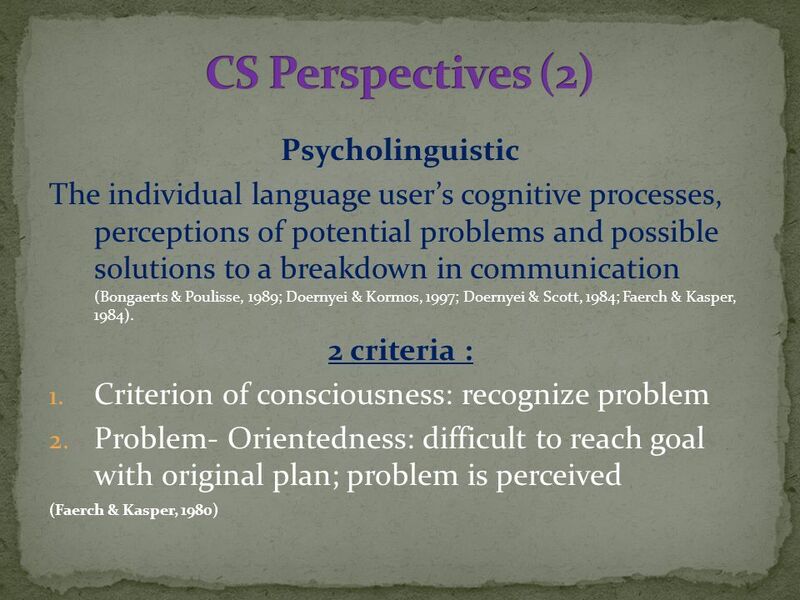 Problem-solving mechanisms in L2 communication: a psycholinguistic perspective. Studies in Second Language Acquisition, 20, 349 – 385. Doernyei, Z. and Scott, M.L. (1997). 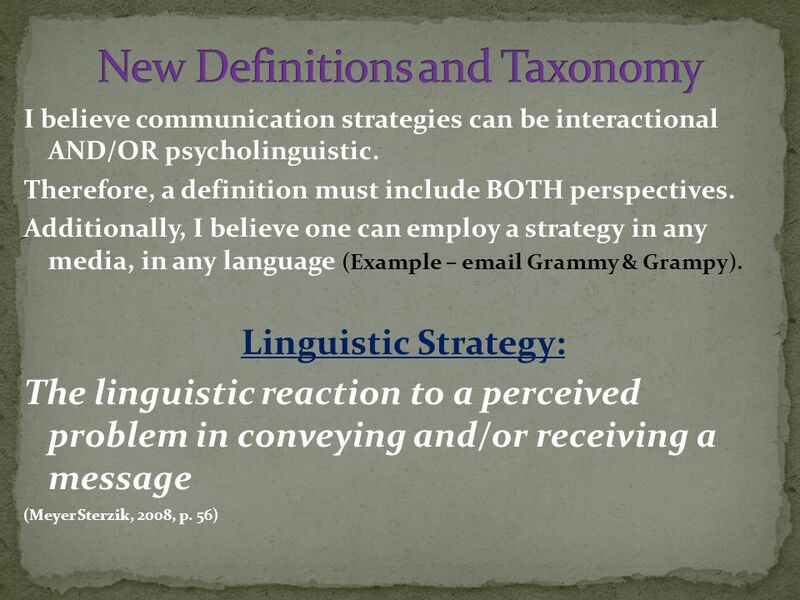 Communication strategies in a second language: definitions and taxonomies. Language Learning, 47 (1), 173 – 210. Faerch, C., & Kasper,G. (1980). Processes and strategies in foreign language learning and communication. Interlanguage Studies Bulletin Utrecht, 5 (1), 47 – 118. Faerch, C., & Kasper, G. (1984). 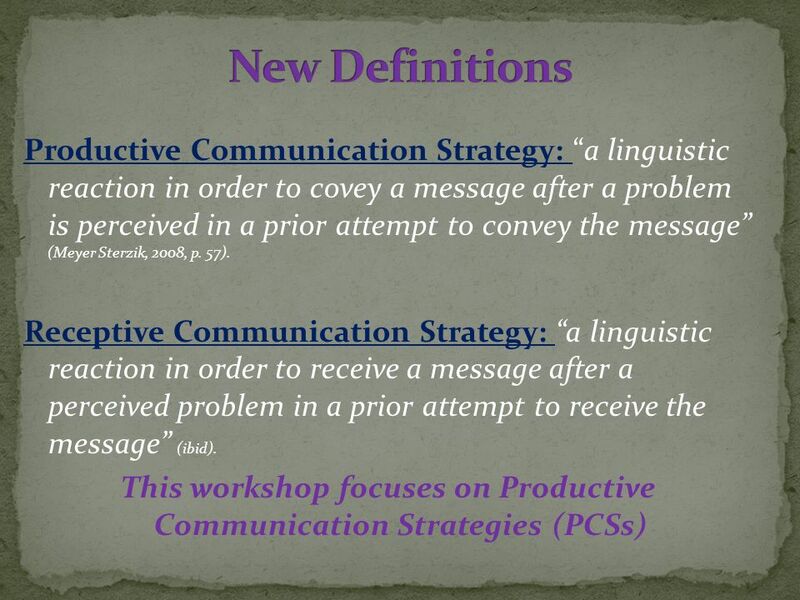 Two ways of defining communication strategies. Language Learning, 34 (1), 45 – 63. Heeney, M. (2005). Collaborative awareness reading training (CART): Student and teacher perceptions of the reciprocal teaching approach. Unpublished Master’s Degree MRP. Toronto: York University. Kellerman, E. (1991). Compensatory strategies in second language research: a critique, a revision, and some (non-) implications for the classroom. In R. Phillipson et al (Eds. ), Foreign/second language pedagogy research: a commemorative volume for Claus Faerch (pp. 142 – 161). Multilingual Matters Ltd. Lafford, B. A. (2004). The effect of the context of learning on the use of communication strategies by learners of Spanish as a second language. Studies in Second Language Acquisition, 26, 201 – 225. Meyer Sterzik, A. (2008). Communication Strategies: Enhancing global communication. Unpublished Master’s thesis. York University: Toronto. Shih, M. (1992). Beyond comprehension exercises in the ESL academic reading class. TESOL Quarterly, 26, 289 – 318. Tarone, E. (1978). 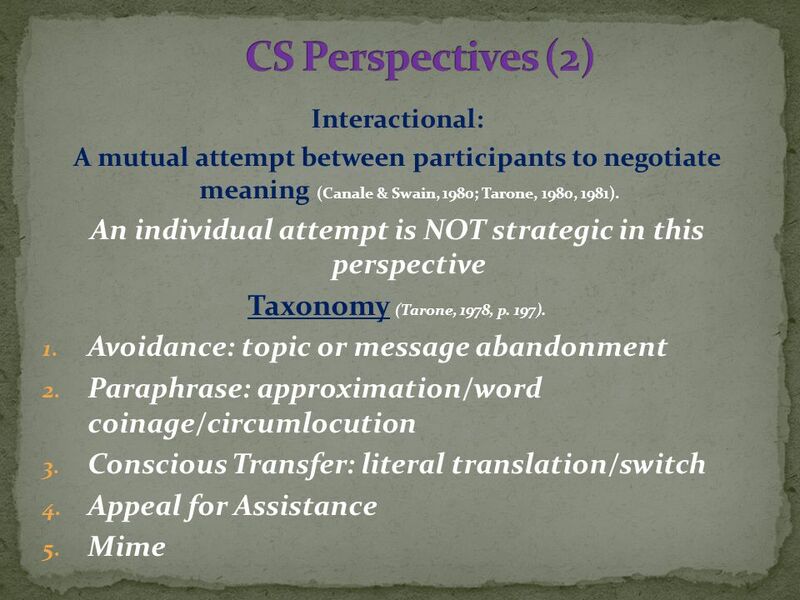 Conscious communication strategies in interlanguage: A progress report. In H.D. Brown, C. Yorio & R. Crymes (Eds. ), On TESOL ’77: Teaching and Learning ESL. Washington D.C.: TESOL Tarone, E. (1980). Communication strategies, foreigner talk, and repair in interlanguage. Language Learning, 30 (2), 417 – 431. Tarone, E. (1981). Some thoughts on the notion of communication strategy. TESOL Quarterly, 15 (3), 285 – 295. Tarone, E., Cohen, A., & Dumas, G. (1976). A closer look at some interlanguage terminology: A framework for communication strategies. Working Papers on Bilingualism, 9, 76 – 90. Yang, Y., F. (2002). Reassessing readers’ comprehension monitoring. Reading in a Foreign Language. 14 (1), 18 – 42. Yang, Y., F. (2006). Reading strategies or comprehension monitoring strategies? Reading Psychology. 27, 313 – 343. Zhang, L., J. (2007). Constructivist pedagogy in strategic reading instruction: Exploring pathways to learner development in the English as a second language (ESL) classroom. Instructional Science. 36, 89 – 116. 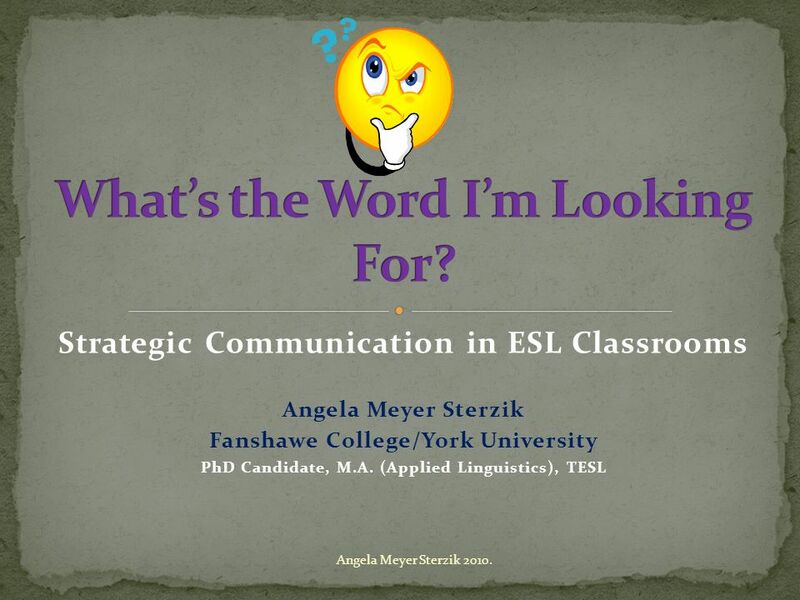 Download ppt "Strategic Communication in ESL Classrooms Angela Meyer Sterzik Fanshawe College/York University PhD Candidate, M.A. (Applied Linguistics), TESL Angela." 5 th International Teachers Conference Singapore October 2009 Teaching Science and Languages English as a Second Language. Sruti Akula (PhD ELE) EFL University Developing academic reading skills through strategy training. 1 Nury Rodriguez Education : Seminar in Applied Theory and Research I Spring 2010. EVIDENCE-BASED LITERACY AND LEARNING A Coaching Perspective: What do we know? What can we do? Presented by: Joseph Ginotti Director, Penn Literacy Network. SPEAKING STRATEGIES AND ACTIVITIES.  Learning strategies are ‘operations employed by the learner to aid the acquisition, storage, retrieval and use of. LG 637 WEEK 5 INTERLANGUAGE. Data Sources Sources Variables Directobservations& Field notes Participantobservations& Surveys InformalTalks SoftwareEffectiveness Students'Perception. 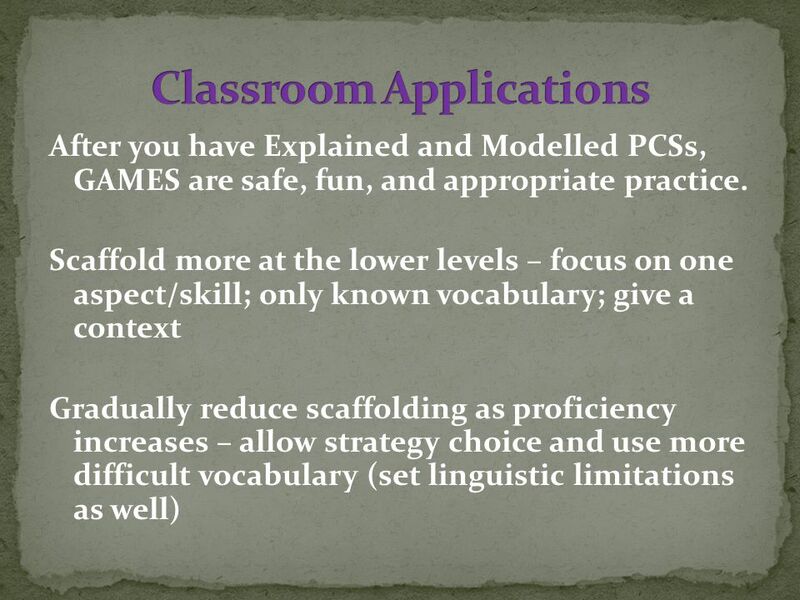 Jane Doe and John Smith RQ: To what extent does writing new words help high school ELLs learn vocabulary? Barcroft, J. (2004). Effects of sentence writing. LULU MUSTAFIDATUZ ZAHROH, COMMUNICATION STRATEGIES AMONG ENGLISH STUDENTS INVOLVED IN CONVERSATION (THE CASE OF ENGLISH DEPARTMENT STUDENTS.